Apple just unveiled an updated Apple Watch. And this year’s new Watch is all about the display. Thanks to thinner bezels and a slightly bigger casing, you’ll see more on your screen. 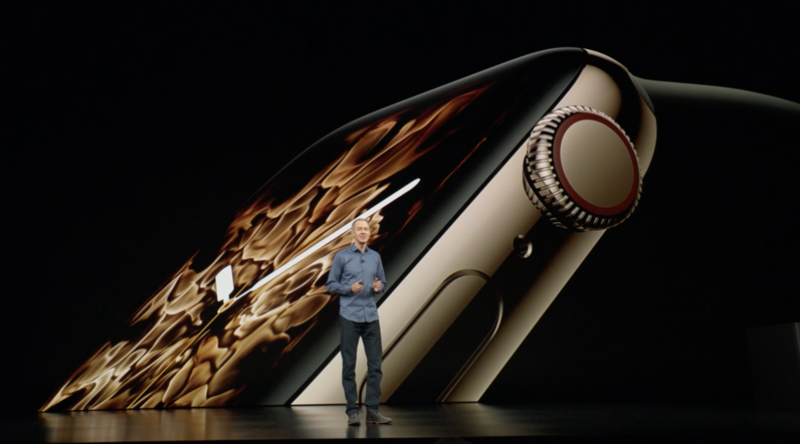 “Apple Watch isn’t just the number one smart watch, it’s the number one watch in the world period,” Apple CEO Tim Cook said before introducing Apple COO Jeff Williams. Williams framed the watch as a communication device, a fitness device and a health monitoring tool. 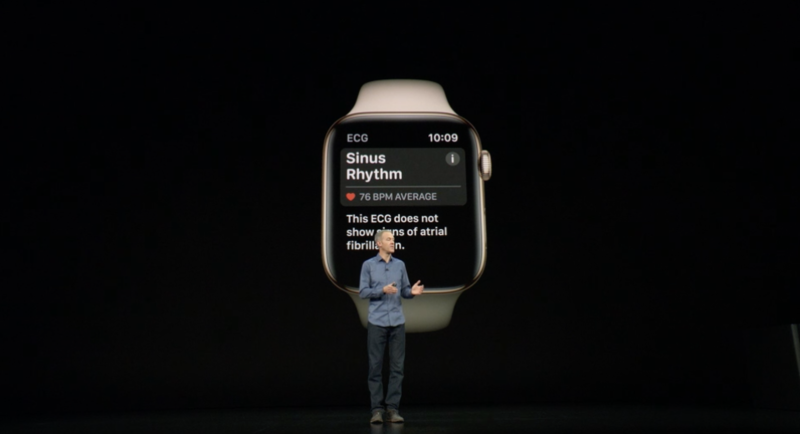 For instance, the Apple Watch can notify you if you have an unusual heart rate. It’s clear that Apple has put aside the idea that the Apple Watch is an app platform. “Everything about it has been redesigned and reengineered,” Williams said. The design still looks very familiar, but it’s clear that the screen is bigger. You don’t necessarily see it when there’s a dark watch face. But it’s striking in the Breath app for instance. The small version has a 32 percent larger display, and the bigger version has a 35 percent larger display. Thanks to a brand new watch face, you can put up to eight complications at once. It looks busy but it works. In order to put a bigger display, the company had to make the Watch slightly larger. The 38mm model is now called the 40mm model, and the 42mm model is now 44mm large. According to Williams, the total volume of the Series 4 model is still smaller than the volume of the Apple Watch Series 3 thanks to a thinner design. So there you go — a larger watch in a thinner body. The displays now has rounded edges just like on the iPhone X. The digital crown has been redesigned to give you haptic feedback. The speaker is 50 percent louder. I’m not sure who uses this speaker, but if you need to make a quick phone call or use the new walkie-talkie feature in watchOS 5, it’s now better. The back of the device is now made of black ceramic and sapphire crystal, which should help when it comes to cellular reception. The new system-on-a-chip (the S4) is supposed to be twice as fast as the one in the Series 3. Thanks to a new gyroscope, the Watch can detect a fall, which could be particularly useful for elderly. If the device senses a fall and you don’t move for a minute, the Apple Watch will automatically call emergency services. In addition to traditional heart beat data, the device will now track heart rhythm and notify you if you have atrial fibrillation. But you can even take a full ECG from the Watch now. You just have to open the app and hold your finger on the crown for 30 seconds. All your data is then stored in the Health app on your iPhone. You can then share the PDF of your ECG with a doctor. Apple had already written patents about ECG on the Watch, but the fact that it’s already available is a surprise. You generally can’t buy an ECG device over the counter. And the Apple Watch has received FDA clearance for the Apple Watch’s ECG feature.